We are very happy to have teamed up with the lovely Joe and Hannah from The Deli at No 5 in Thame to be able offer wine and cheese pairing tours. Sessions will start with a full tour of the Vineyard and Winery before starting a guided tasting of our wines and pairing cheeses to go with each one. The guys know their cheeses and have scoured the country for the very finest. Priding themselves of only dealing with the very best they have found some beauties to pair with our wines and ciders. Option 1: £25 per head – A cheese paired with each wine and cider with crackers and chutney. 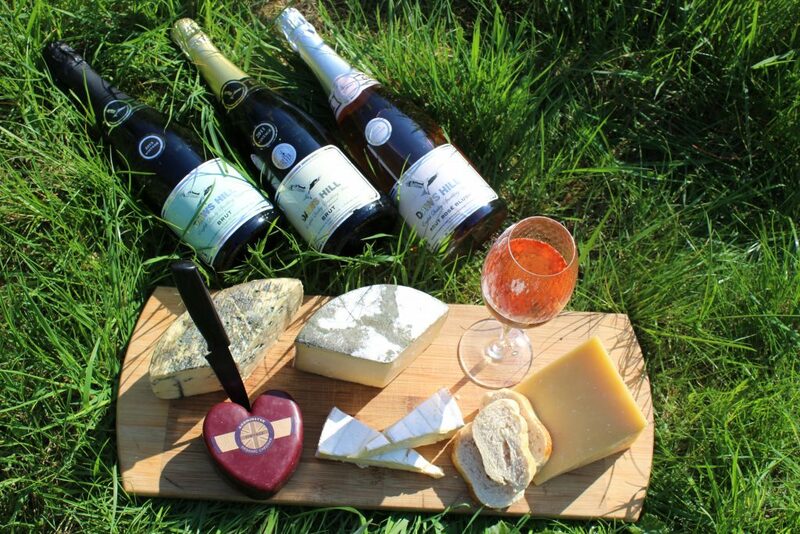 Option 2: £32.50 per head – Two cheeses paired with each wine and cider with crackers and chutney. Option 3: £40 per head – Two cheeses paired with each wine and cider with 3 types of Charcuterie with crackers and chutney.